Because I inherited so many specialty rulers and other gizmos from my Mom when she passed away, I proposed a new challenge to my guild-that-is-not-a-guild at the beginning of this year and because others were feeling a similar pinch, they hopped on board. So this year is the inaugural year of the "Use It or Lose It" challenge! Basically, anyone who is playing along listed 3 quilty items (in our case, rulers, tools, or books were all considered fair game) that had been on their shelves for at least one year and had never been used. In other words, this is our challenge to use those items that sounded just so nifty cool at the time and we just had to have them, but they have never been broken out of their packages and sit forlorn, collecting dust. 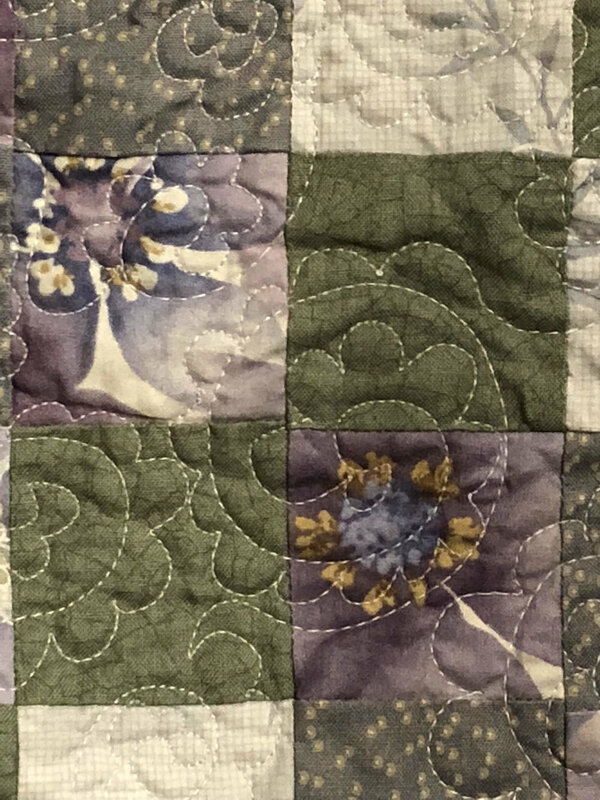 We have until October to use the items on our list--whatever we haven't used by then we "lose" to a silent auction during a guild meeting in November. Or, if we use an item and decide it's just not all that and a bag of chips, we can chose to gift it to that same silent auction. My three items were a Fons and Porter binding ruler-tool thingie (I'd bought that myself some time ago), a set of Marilyn Doheny circle wedge rulers I'd inherited from Mom, and the Marti Michell Log Cabin rulers and book, also inherited. Here's the thing--forasmuch as all these rulers seemed like good things to keep from my Mom's studio, if I didn't have some external pressure they'd never get used and they'd still be in my drawer 10 years from now, untouched. 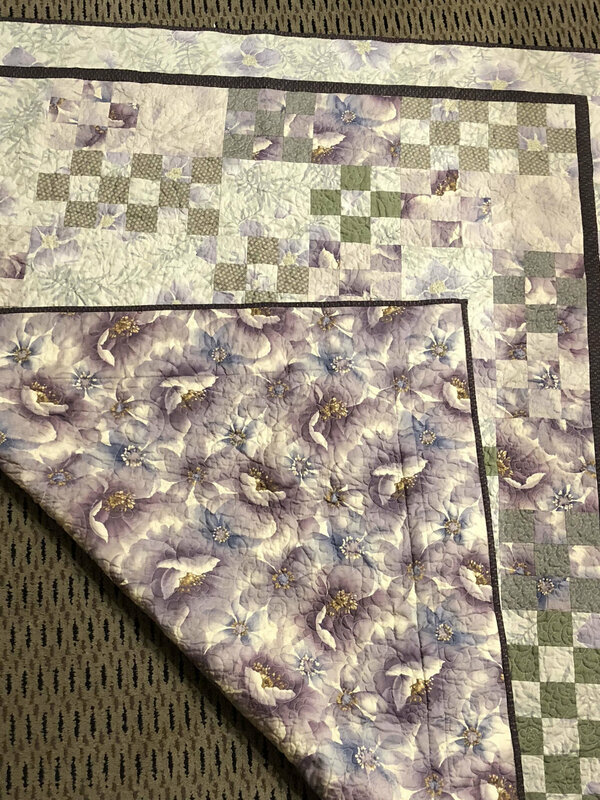 We have a few different benchmarks along the way of this challenge--every couple of months, anyone who has a "finish" gets their name put in a drawing and the winner gets a half yard of fabric from the kitty. (The registration fee for the challenge was a half yard of fabric.) I haven't won yet, and to tell the truth, I'm trying to use up fabric, not win more. So the drawing isn't a big motivator for me. But having those benchmarks is an excellent reminder to keep myself moving on the challenge. I knocked off the binding ruler quite quickly--I've been doing a lot of bindings lately with finishing all of Mom's UFOs and some of my own. Now I'm working on the circle wedge rulers to see if I can use them before the next benchmark, which is next month's meeting. We don't actually have to finish whatever project we use the items in--and, in fact, can use the item in any other project as well. The only real rule is that you have to use the item for the purpose for which it was originally intended. 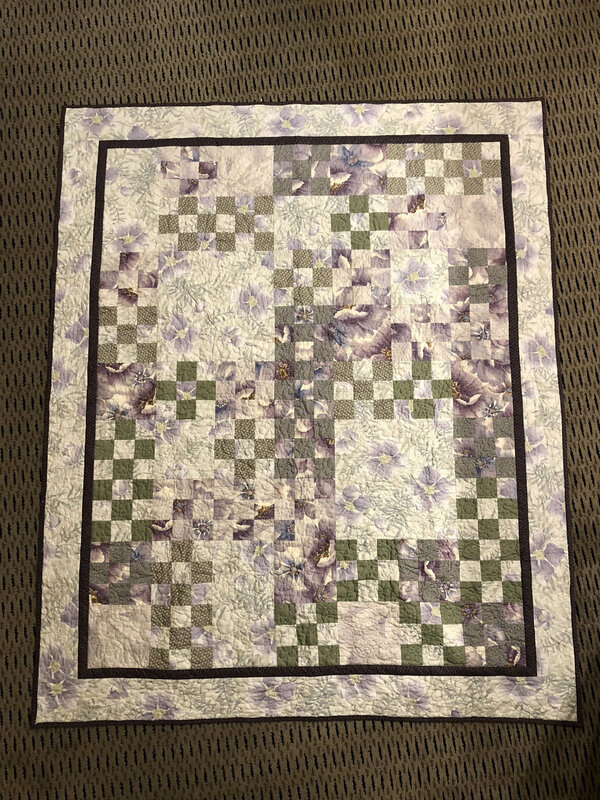 You'd be amazed at how creative a quilter can be at trying to find the loopholes! 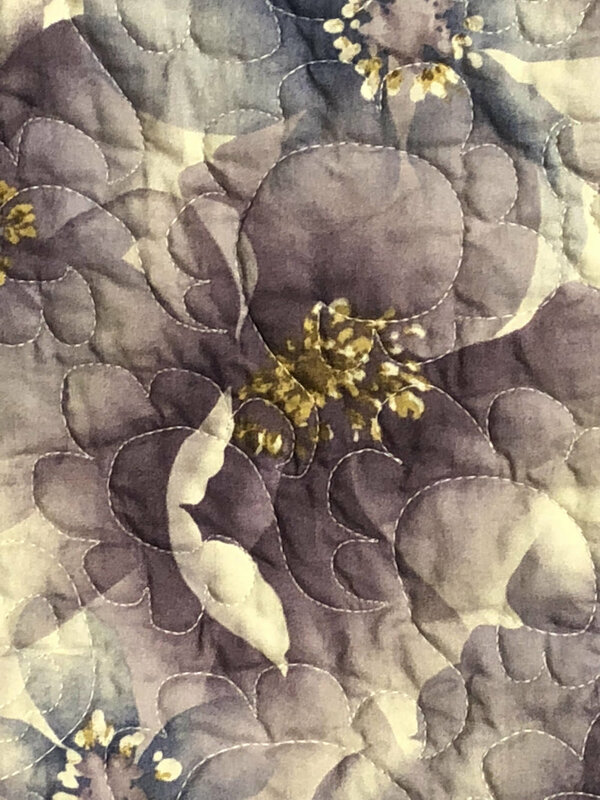 I've been brewing an idea for using the circle wedge rulers for awhile, and tonight started pulling out fabrics to see what I could put together. Think ancient Egyptian art. And that's all I'm gonna say for now. Of course, I could just slap some fabric down, slice into it, and sew it back together and call it a day. For the purpose of the challenge, that would get me through. But I can't quite make things that easy on myself. Instead I'm getting all fancy with it. Hopefully I'm not just creating myself a UFO that will end up on my UFO challenge list 5 years from now! If I get anything real accomplished this week, I'll post pics. But to be honest, I'm trying to stay off the computer as much as possible this week so I can get some sewing done. At the moment, I'm just waiting for my iron to heat up so I can get down to work!